Interior designers are some of our best customers. One good turn deserves another, so we offer them exclusive benefits through our Interior Design Affiliate Program, a free membership program that allows qualified members to earn referral fees and gain world-class business support so they can spend more time doing what they love—designing. 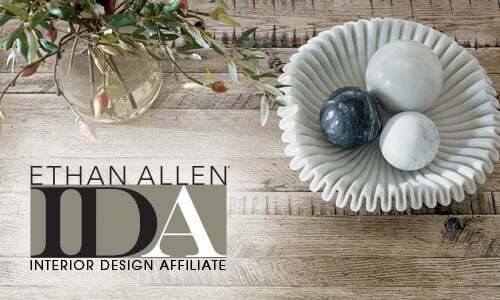 For more information, click here or visit your local Ethan Allen Design Center. Trusted partners are a benefit to every business. That’s why we invite real estate, design, building, and architecture professionals to join our Preferred Partner Program, a free membership program designed to offer qualified members special to-the-trade privileges of their choosing. 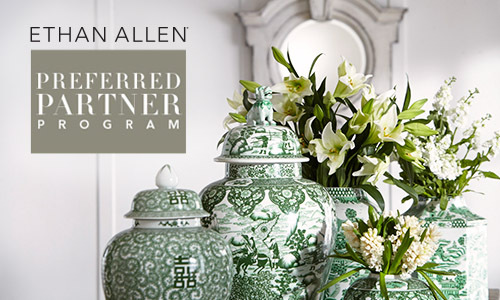 For more information, click here or visit your local Ethan Allen Design Center. 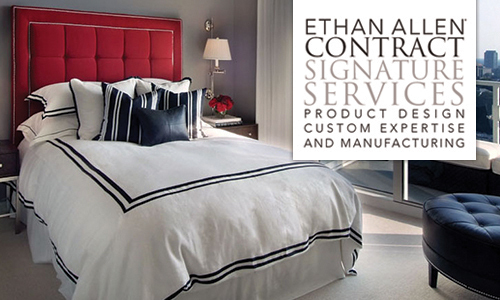 Ethan Allen’s design capabilities go way beyond residential applications. We can customize our furniture and accessories for an array of professional and commercial settings. Whether it's a few unique pieces or dozens of the same items, we’re committed to delivering exactly what you need with the excellent quality and service you’d expect from America’s Classic Design Brand™. For more information, click here.